Coincidence? Obama lost in every state with a photo ID law. Coincidence? 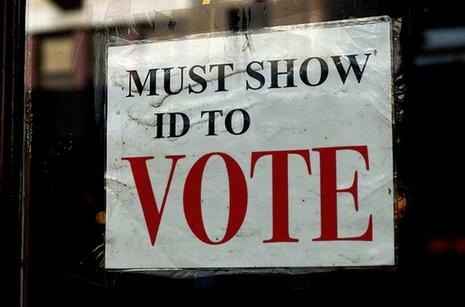 Obama lost in every state with a photo ID law.HT: IsraelMatzav..And you thought the Democrats opposed voter identification laws because they prevent people who are entitled to vote from voting. Err…. Not exactly. Curiously, Obama lost in every state that requires a photo ID to be produced before voting. A list of closely contested state elections with no voter ID, which narrowly went to Obama include: Minnesota (10), Iowa (6), Wisconsin (10), Nevada (6), Colorado (9), New Mexico (5) and Pennsylvania (20). And yes, that’s enough electoral votes to change the result.